This season the North Texas Region will be holding an official Kickoff and Workshop event on September 9th from 9:30am to 12:30pm at Diamond Hill-Jarvis High School in Fort Worth. 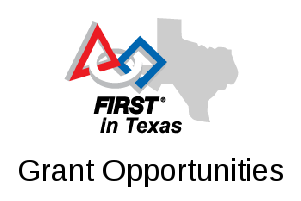 The purpose of the kickoff is meet other teams and provide an overview of the FTC 2017-2018 “Relic Recovery” season for North Texas. The kickoff event is free of charge, but because space for the event may be limited, we’re asking coaches/teams to pre-register for the event . Location and Parking: The kickoff will be held in the gymnasium of Diamond Hill-Jarvis High School in Fort Worth. Map and directions are below. Agenda/Topics: League play and qualifying tournament details; common robot building systems; REV Robotics control platform overview; updates, upgrades, and changes from previous seasons; resources for new teams; grants; game reveal; review of 2017 game scoring and rules; practice fields and scrimmages; questions and answers.